For more Winner Circle Pictures check out our Facebook page. We had our second show this weekend! We won the halter class against one other yearling, and got a return blue in our showmanship class. His brain was fried for the championships so he didn’t do as well but I’m just proud of him for making it to that point!! He’s such a smart little dude and is turning into a cool little horse. Mason is out of Piper and by Dude. Pistolera is out of Stinger and by Gunner, she is KT Gun in a Million’s full sister. Thought you would like an update on Kid. 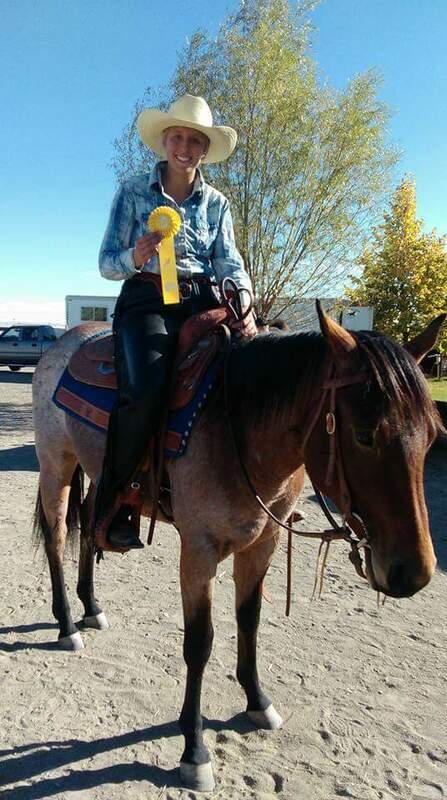 She did very well at her first horse show in Missoula Montana. Kid is a 2009 daughter of Zink and Tuffy. We all had a great time at the Adams County Fair this year, 2014. The kids all showed halter for the first time and did great. Anna showed her horse Montana Can Can. She got first in working horse halter and first in walk/trot. Pepper was on her horse Beaver, Pepper and Beaver got got third in the stock horse gelding class and second in the walk trot class. Jaxsen rode Dakota in the lead line class. Kendra rode Montana Can Can in the lead line class. Kade rode Smoke, they got first in the other breeds mare class and fourth in the walk trot class. Tesa on her and Pepper’s horse Beaver, rode Beaver in the lead line class. Kaine on Bev got second showing Dakota in halter in other breeds gelding and third in walk trot on Bev. We are very proud of all of the kids and they did a great job. Thanks for sending Kai Jack down to us! I really like running barrels on him. I can’t wait to use him more for high school rodeo! 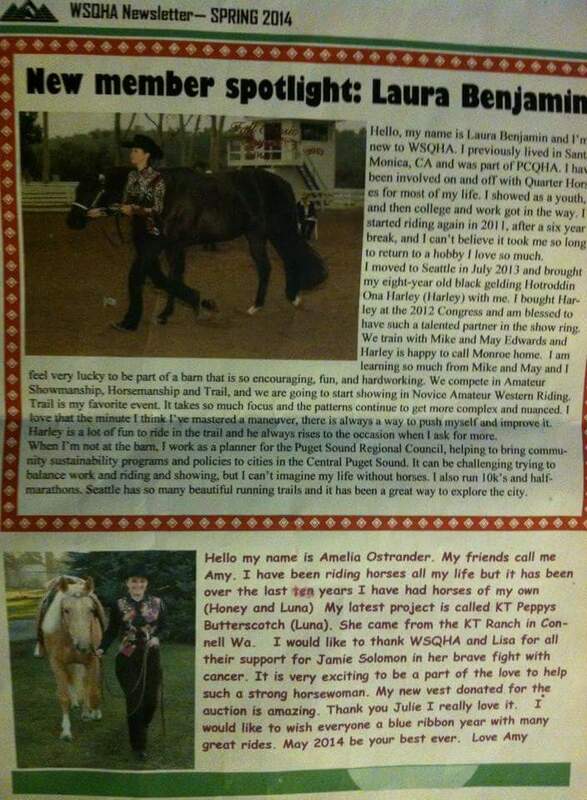 Luna (Butterscotch) and I are in the WSQHA newsletter this month. Thought you might like that! This newsletter was from April, 2014. They are the bottom picture. Butterscotch is a 2010 filly by Just Plain Starlight and out of Buttercup. Hello everyone. Just thought I’d drop a quick note. Kodie is going to state at the Eastern Idaho State Fair in Blackfoot. 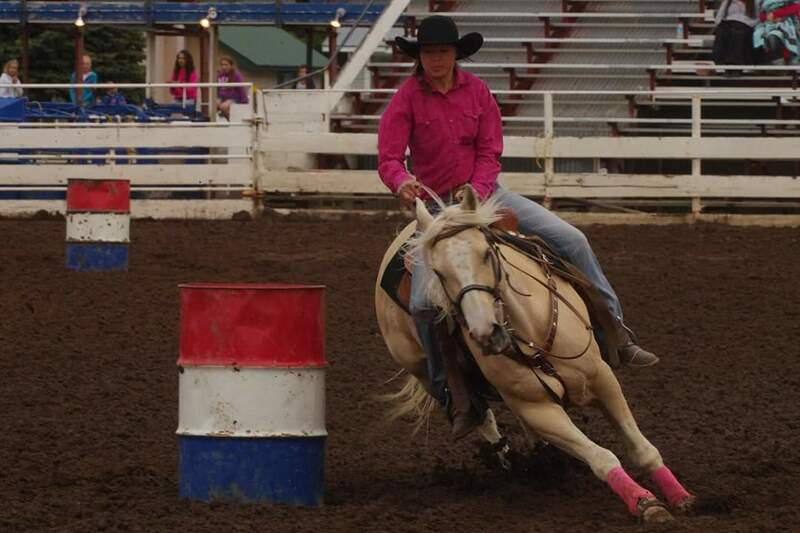 She is competing in reining and is an alternate for Western Horsemanship (Western Pleasure). She placed first in reining and 4th in horsemanship. Her classes are huge, there are usually 13 to 18 contestants so she’s pretty excited. Laddie did awesome once again. They were the first ones in and with that big class, he ended up standing for about 35 minutes. They did well and she plans on doing halter with him next year. “Laddie” was a 2012 Heritage foundation foal, he is out of Piper and is by City Smarts. 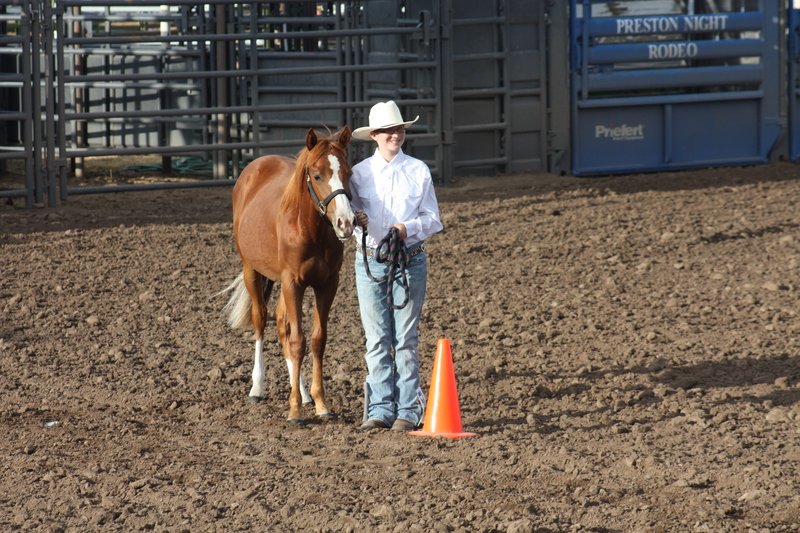 KT Double the Chrome, “Slick”, at a Youth Horsemanship Clinic at Western Pleasure Guest Ranch in Sandpoint, Id. Slick and his rider earned a blue ribbon. Head up there for the weekend and take Slick, or one of their other horses, for a ride. Slick is out of Double and Comet. 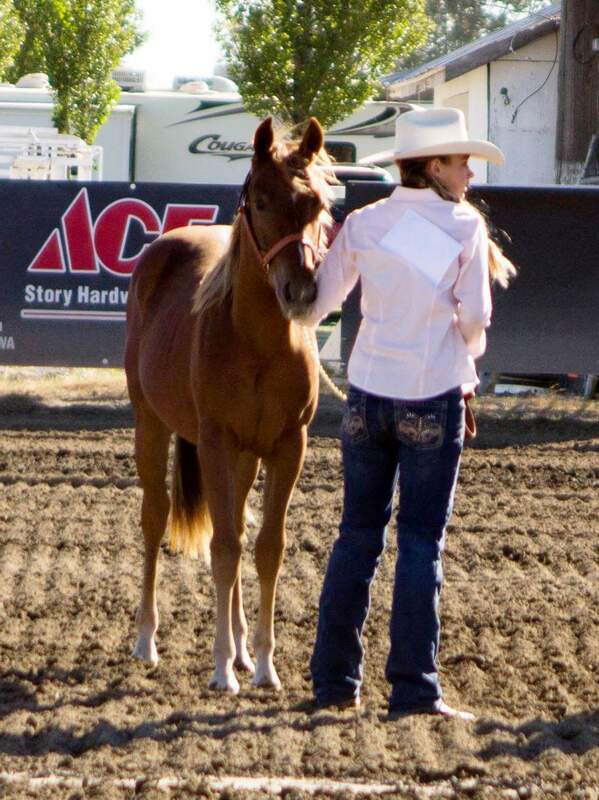 Vein Morales showing “Lendy” at the Yakima Fair, were she got second in halter. Lendy is a 2010 filly by Zinks Major Kid and out of Tuffy. These pictures were taken September 2012. Good job Vein, you and Lendy look phenomenal together. Lil Town Foxy Roxy: an own daughter of Zink- accomplishments:Pole Bending at State High School Rodeo Finals, and Barrel Racing At Diamond J Rodeo Camp.She is also being breakaway roped on, and being used as a goat horse. She is placing in both barrels and poles. Owner comments that they love her!! !She will be 7 in the spring of 2011. KT Red Barracuda is out of Docs Sizzlin Bar and My Little Red Porsche. 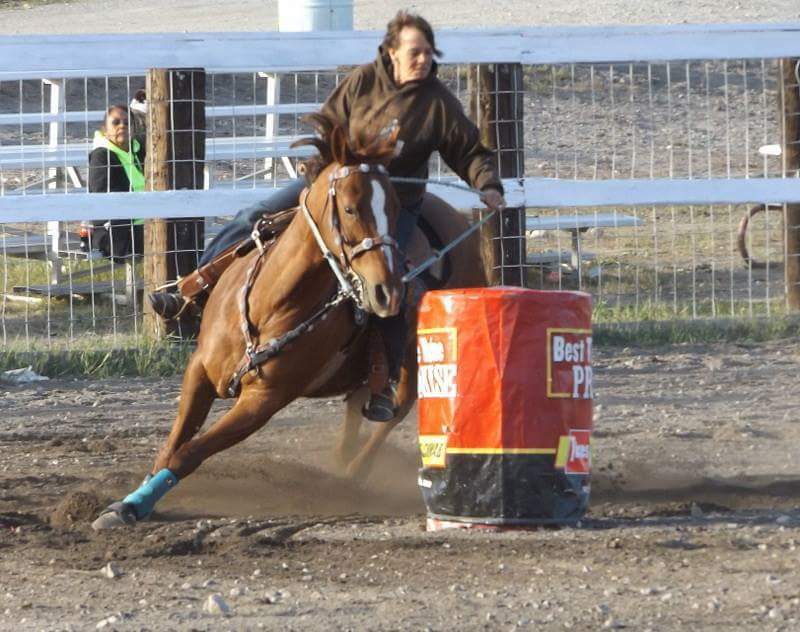 She has been used as a all around and barrel horse and had done very well winning her division on many occasions and is an all around great horse. She is owned by Phyllis from Castle Rock.